On Wednesday, congressional Democrats introduced bills to the House and the Senate that would establish a “system of licensing for purchasers of certain firearms” and “a record of sale system for those firearms” that would create a national registry for firearm sales and transfers in the United States and broadly prohibit the sale or transfer of guns to anyone without a federal license. Rep. Bobby Rush (D-IL) introduced the House version of the bill, H.R. 6024, while Sen. Tammy Duckworth (also of Illinois) introduced the Senate version of the bill, S. 3002. Although the exact text of the proposed bills is not yet available to the public, Rush has put forth similar legislation in the past. Back in 2009, Rush introduced “Blair Holt's Firearm Licensing and Record of Sale Act,”which proposed the establishment of a national firearm licensing system for gun owners and a federal registry of gun sales and transfers. 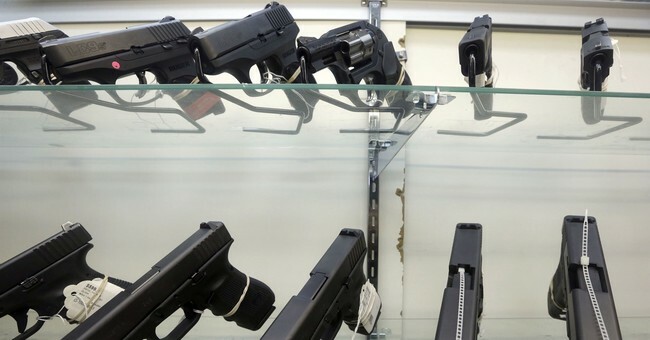 According to the text of the proposed legislation, Americans without licenses would not be able to legally possess or buy most types of firearms. In fact, the guns that qualified for these licensing and registration systems were to include “(i) any handgun; or (ii) any semiautomatic firearm that can accept any detachable ammunition feeding device,” except for antique guns. Given the substance of Rep. Rush’s past gun control proposal, it appears likely that his more recent bill and Sen. Duckworth’s companion Senate bill include many, if not most, of the same provisions. "Americans are demanding that Congress take real action to prevent gun violence and we must address this issue head on and do our part to prevent the senseless mass killings and shooting deaths in cities across this nation," [Rush] said. "We owe it to the countless and growing number of firearm violence victims to take action," she said. "I don't want my daughters to have to grow up in a country that won’t protect them from firearm violence, which is why I'm proud to join Congressman Rush in this effort and we will keep pushing until all of America’s children are safe."